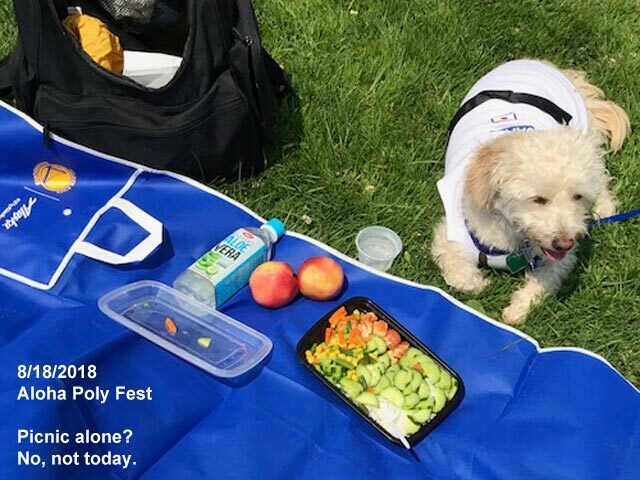 8/18/18: Picnic alone? No, not today. This dog is my ‘AIBO (pronounced eye-bow) meaning “partner” , also, SONY’s robot dog. Abbreviation for “Artificial Intelligence BOt” (“bot” is short for “robot”) in English.